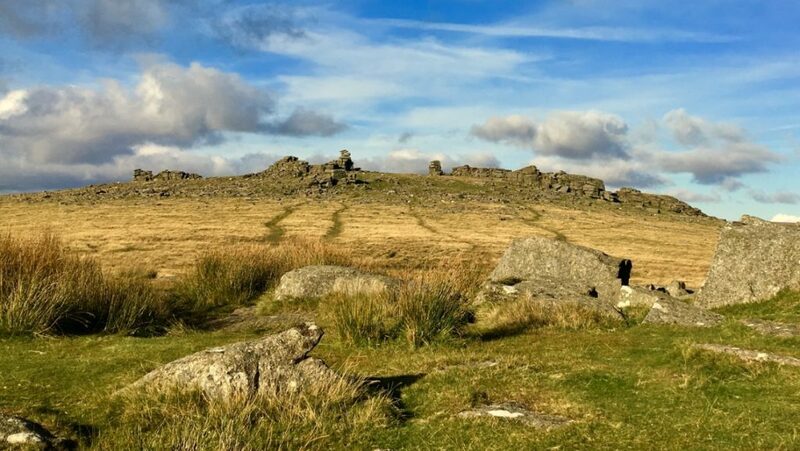 The Dartmoor 100 starts at Midday on Friday 3rd August 2018 in Okehampton and competitors have a maximum of 36 hours to complete the race (midnight Saturday 4th is the final finish time). The event will be fully supported. Food and drink will be available at 9 checkpoints en route, with additional water stations. At registration you will be given your race number and digital chip timer (wristband and dibber). You will also be able to hand in a drop bag to be transported to Scorriton checkpoint (47 miles). You must make sure your name and bib number are clearly written on the bag. Only small bags of 10 litre capacity will be allowed. Bags will be transported back to Okehampton for your collection at the finish. 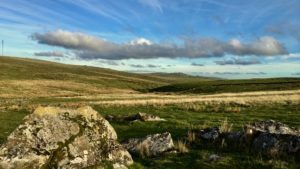 Dartmoor Granite 50 starts from Scorriton in the South of the Moor at 9am on Saturday 4th August. Buses will transport runners from Okehampton event centre (OCRA Pavilion in the Park) at 7.15am. The event will be fully supported with 5 checkpoints and one additional water station between Meldon Hut and the Finish at Okehampton. Arrive at OCRA Pavilion from 7.30am. Free parking and camping available on site for the two nights of the event for competitors. No campfires. Dogs must be under control at all times. One tent for two persons maximum. Additional tents @£10 plus £5 for each person. Showers and toilet facilities are available on site. Bar and meals available to purchase all weekend at the Pavilion event centre. 8.15-11.15am registration for Dartmoor 100 competitors. Bib numbers given, GPS trackers and digital timing wristbands attached. Mandatory kit check on arrival at registration. Midday start of the Dartmoor 100. 6.00-9.00pm registration and kit check for the Dartmoor Granite 50. 5.30-6.45am emergency registration for Dartmoor Granite 50. 6.50am race briefing for Dartmoor Granite 50 at the Pavilion centre HQ. 7.15am bus departs for Scorriton. 9.00am start of the Dartmoor Granite 50. Race (bib) number and pins. Waterproof map with D100 and DG50 route marked. Tracker to record arrival at checkpoints. Written route description on waterproof paper. Everyone needs to visit Registration! A reliable form of ID. Passport or Driving License is preferable. Full waterproof body cover, to include waterproof jacket and over-trousers both with taped seams. Windproof jackets are not acceptable. Spare long sleeve base layer to be carried in case of emergency, stored in a watertight bag. Not to be worn during the event. Capacity to carry a minimum of 1 litre of fluid either in bottles or bladder. Emergency food minimum 500 calories. Compass (and the ability to use it).